This year marks the 4th year for Fair Saint Louis to be held in Forest Park, and it was an incredible day to kick off this year’s 4th of July celebrations. 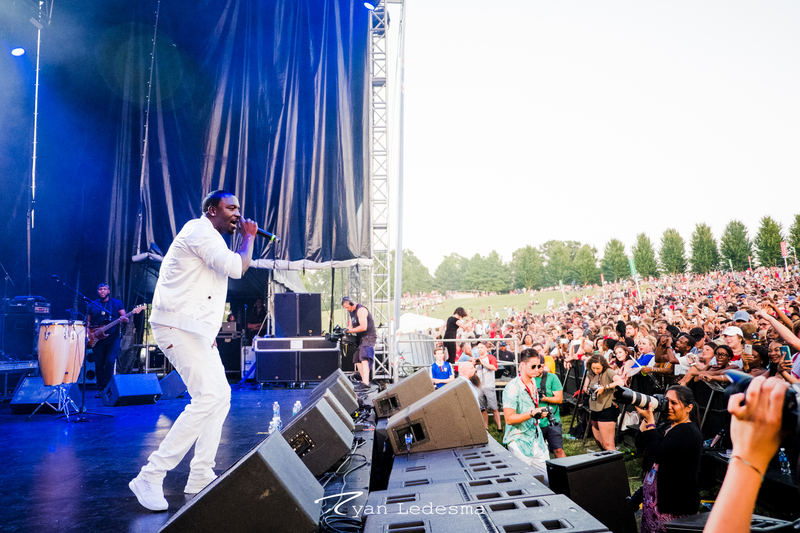 The day started out hot, but as the sun set on Art Hill, the cool relief of evening rolled in with the countless fans ready for tonight’s headliner: Akon. 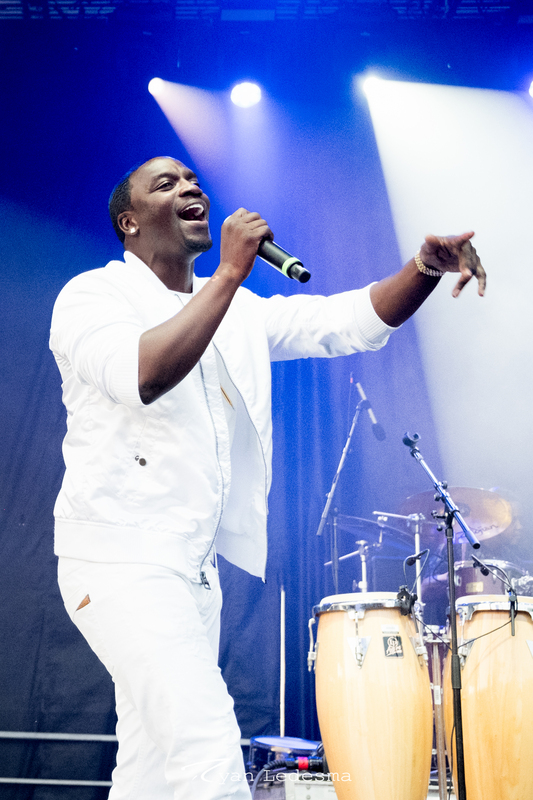 The Saint Louis born hip-hop icon kicked off his career in 2004 with his hit single “Locked Up” and went on to work with some of the biggest names in music (Micheal Jackson, Eminem, and Snoop Dogg, to name a few). He has had numerous #1 hits and has solidified himself as one of the big players. 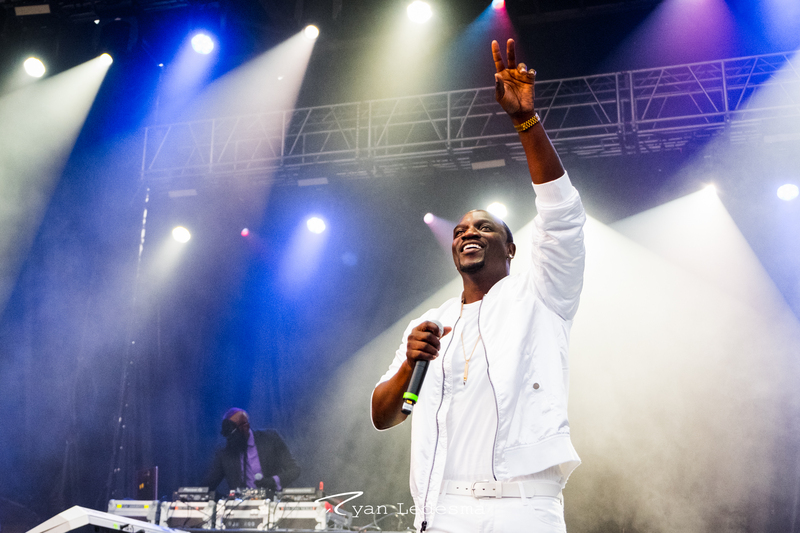 The excitement of the crowd grew and grew, and when Akon stepped onto the stage the crowd erupted. The energy was as palpable as the deep bassline that filled the air. He kicked off the show with “Give It To ‘Em”, a single from 2010 before getting into the early days with “Locked Up” and “I’m So Paid”. The show really got into full swing during “Don’t Matter” (when he shed his outer layer to jam out on the bongos), and during his beautiful tribute to his (and all of our) heritage with “Mama Africa”. As the evening light faded more and more, the show evolved into a huge dance party, with “I Wanna Love You” and “Smack That” being the climax of the party. Everything slowed down during “Right Now” and “Beautiful”, as the crowd broke out their phones (and yes, lighters too) to swing back and forth to lose themselves in the music. Akon closed out the show with the very fitting “Freedom”, and as he walked off the stage the fireworks took off in the background across the lake, making for an excellent start to the weekend’s celebrations.